For more thorough coverage :) see Karima’s writeup and Nat’s German one. I got a little bit part in the bar scenes (expertly sitting on a poseball! ), and also in the horses-running-about scenes (as the Slightly Confused Horse), and got to contribute a little miscellaneous scripting also. But mostly just watched Karima and Nat and wondered to myself how they do it. I will stick to scripting. :) Although I understand some people find that mysterious also! Friend Candice Alderton and Trip Tremmor are offering a discussion on Conflict Transformation today at 5:30pm SLT; details below. She says it’s sure to be a lively discussion filled with useful information and some new skills you can easily adapt. Please feel free to share with friends you think may be interested. The discussion will be held in voice and text. “Intro to Compassionate Coummunication” with guest speakers. Find out simple changes you can make in yourself to shift your personal and business relationships. Interact with some first-hand roleplays for some quick practice. Candice has studied more than two years, completed a year-long immersion program, and participated in many workshops as she pursues her graduate degree in Conflict Transformation. Trip has completed 7 workshops with multiple trainers as well as individual training. Join these two Peacemakers as they talk about Non-violent Communication and how they live it every day. Many of you know that the VWBPE Conference starts today. I had mentioned to some of you that I would be presenting on “Conflict Transformation for Organizations”. This is an unusual topic for a conference of this type and I am excited to be included. This will be at 2 SLT on Friday. 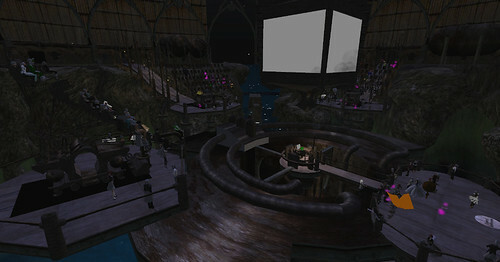 The SLURL is http://slurl.com/secondlife/VWBPE%20South%203/120/117/43. Is your way of handling conflict like Howard Stern, Oprah Winfrey; or do you avoid conflict, possibly at all costs? Regardless of the world you are operating from, conflict is a natural part of every-day life and also part of every organization. By reconsidering the way we think of conflict and learning new ways of communicating and relating, we can build stronger relationships with our allies as well as those we inspire to a different way of thinking and feeling. Not only do we feel and work better with easier relationships but the real “winners” are the individuals who will have fuller, richer lives and are more productive. You can find locations for the other presentations by checking out the Master Schedule tab on the left here — http://vwbpe11.vwbpe.org/. Please feel free to share this information with anyone you think might be interested. I want to share an intriguing class announcement that went out over “Hey Girlfriend!” (my shopping and general girltalk and silliness group) group IM. It’s a class at Insight Virtual College (a place I now want to find out more about! ), given by Virtual Ability (one of the winners of the first Linden Prize for goodness), about making one’s fashion-related things accessible by and friendly to SL residents with various forms of disability. Fashion aspects aside (we all know how fashionable I am! ), this seems likely to be a really interesting session. Virtual worlds are clearly wonderfully accessible for people with some disabilities (regardless of your RL status, there’s no reason to be in a wheelchair in SL unless you want to! 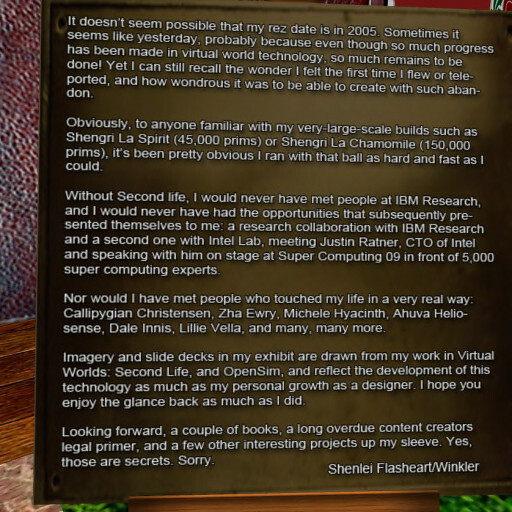 ), and extremely problematic for others (here I will plug some very interesting work in enabling SL for the blind). Comments are welcome, as always, as well as trip reports from anyone who attends the class. If I manage to remember to go :) I will post a followup.